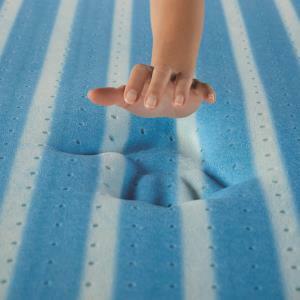 The DeepReaction™ Memory Foam offers a Firm support. A slower reacting Memory Foam to add a firmer feel to the mattress. The iComfort Blue Max 1000 Cushion Firm Cal King Cushion Firm Gel Memory Foam Mattress and Motion Essentials III Adjustable Base by Serta at Ultimate Mattress in the Anchorage, Eagle River, Mat-Su Valley AK area. Product availability may vary. Contact us for the most current availability on this product. The iComfort Blue Max Collection of Mattresses by Serta, are designed to Cool and Support every curve of your body allowing you to sleep through the night. 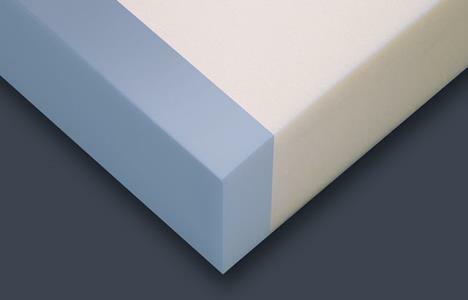 These all foam, Gel Memory Foam mattresses are made with TempActiv™ Max Gel Memory Foam to absorb and dissipate heat away from your body and EverCool® Fuze Gel Memory Foam to conform and support your body allowing you an undisturbed rest. With the cool to the touch TempActive™ Touch Cover and additional supportive layers of Memory Foam, this may be the best mattress you've ever lied down on. The iComfort Blue Max 1000 Cushion Firm collection is a great option if you are looking for Mattresses in the Anchorage, Eagle River, Mat-Su Valley AK area. Browse other items in the iComfort Blue Max 1000 Cushion Firm collection from Ultimate Mattress in the Anchorage, Eagle River, Mat-Su Valley AK area.